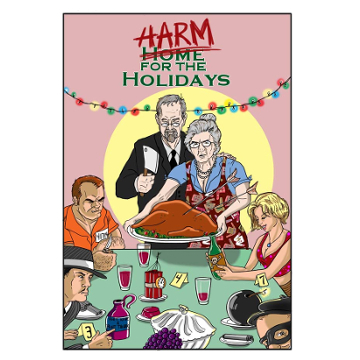 Harm for the Holidays! | Jest Murder Mystery Co. Welcome to the holiday party, and business meeting, for the family run business of Harm Enterprises, LLC. You may know them for their fancy candles…but that’s just a cover for the real business of Harm. Crime! That’s right! …and you are part of the family.